This isn’t the first time Sanjida Kay (AKA Sanjida O’Connell) has stepped in to keep the Literary Sofa warm whilst I’ve been frantically busy with my writing – the final version of Paris Mon Amour is now with the proof-reader! – and once again I am very grateful to her. 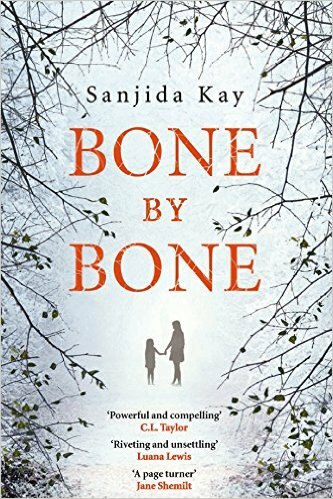 When Sanjida told me she had switched genres with her new novel, Bone by Bone, I was intrigued and certain that many of you would be too. Four years ago, when I was seeking representation, I attended many an agent talk where new writers were being advised to stick to one genre, the logic being that if readers liked what you were doing they would want more of the same and to put out something completely different risked losing your audience. Also, publishers would want to build your career, perhaps establish you as a ‘brand’, so changing track would be like starting over. Things have changed even since then (understatement) but Sanjida had positive, creative reasons for choosing to diversify as a published author with an established record. She joins me today to talk about the transition from historical fiction to a genre whose extraordinary popularity shows no sign of waning. (In fact, at one of those talks I remember hearing something along the lines of ‘forget it, unless you’re writing psychological thrillers.’) Smart move, Sanjida! I had a dream. Unlike Martin Luther King, it was not a glorious dream of freedom. It was small and dark. I dreamt that a mother discovers her daughter is being bullied and she tries to help and protect her child, but her attempt goes horribly wrong. I told it to my agent, Robert Dinsdale, from AM Heath, and he said that was my next novel, right there. And although I didn’t know it then, it would be the start of a twisty journey into a new genre. I’ve had four novels published before (Theory of Mind, Angel Bird, The Naked Name of Love, Sugar Island). Comfortingly they were in the literary fiction area, which meant I could tell the story I wanted to in the way that I felt appropriate. They had a plot, but they were perhaps more character-driven. They were immersive, maybe a bit discursive, as well as, hopefully, being gripping. They were about Things. Things like God, Slavery, Evolution, Science, Cultural Oppression and Empathy. All of a sudden, I found I was writing a novel that was in a sub-sub-genre – although it still deals with one big Thing – bullying. My novel, released today, is called Bone by Bone. It’s part of the crime genre, sub-divided into thriller, then further into psychological thriller territory and then maybe whittled down even more finely into domestic noir. Robert defines this as, ‘the terrible events that take place behind closed doors to middle-class people in suburban neighbourhoods.’ Before I secured a publishing deal with Corvus Books, I was fortunate enough to be given a grant by Arts Council England to attempt to write a literary psychological thriller. Ha! Little did I know that it isn’t always easy trying to straddle genres. I spent at least a year reading nothing but psychological thrillers before I even began writing Bone by Bone. Publishers will tell you that there are no rules, but this wasn’t my experience. From my own reading, I felt as if there were certain conventions – good characters are essential, but the plot needs to be tighter, more dramatic and corkscrewed with twists and turns than in some other genres. From writers at my first ever CrimeFest, I learned that in Crime the bad thing happens at the start (usually a dead body) and the story is about who did it…whereas in Thrillers, the bad thing may happen, or it might be all in the main character’s head and it often occurs towards the end of the book. As a result, there’s a convention in thrillers at the moment to have a prologue hinting at this bad thing so you know to keep reading because, don’t worry dear readers, the tension is going to escalate! Other conventions I learnt the hard way: setting is vitally important, particularly in domestic noir. Bone by Bone is located in Bristol, one of the greenest cities in the country. Originally my final scene took place in a wood – a semi-wilderness it’s true, but one within walking distance of the city centre. Yet the publishers I sent my novel to first time around unanimously disliked the last scene. The feedback was that it wasn’t urban enough and made it feel as if the book had slipped into another genre. Another lesson I learnt is that my style – sometimes a bit lyrical and overly descriptive – isn’t pared down enough for most thrillers. Some wonderful thrillers are beautifully written – take The Drowning Lesson by Jane Shemilt, for example (which strictly speaking is family drama crossed with psychological thriller), but more often than not, style is subservient to plot. I wanted to keep the literary feel and I perhaps did this too literally. My main character, Laura, studied poetry at university, so originally I had her thinking about poetry and quoting lines now and again. Her nine-year-old daughter, Autumn, also thought of a couple of stanzas that her mother had read to her. Every time my novel went off to my agent or an editor, it would return missing a poem. The title – Bone by Bone – comes from a line in Emily Dickinson’s There is a pain – so Utter, and I had to fight to keep that single, solitary poem – the raison d’être for the title and a key part of the plot. It has been fun and challenging to write in a different genre. I hope that I’ve succeeded in writing a book I’m proud of, as well as one that’s marketed as a thriller. And for all of us writers, being pushed out of one’s comfort zone and forced to think about one’s craft in a new way, can’t be a bad thing. Thank you to Sanjida for a fascinating insight into the demands of writing psychological thrillers. If you’re a writer, would you consider changing genre? As a reader, how do you feel about authors you know and enjoy coming up with something completely different? You can see Sanjida’s previous post on editing her novels here. At the weekend, I’ll be hosting a visit from award-winning short story writer and novelist Tom Vowler, whose new collection Dazzling the Gods is currently being crowd-funded on Unbound. Interesting and timely post for me, thank you and good luck Sanjida! I prefer the term Domestic Noir – a thriller in a domestic setting, so the reader believes it could happen to them. Glad you enjoyed it, Ruby! I had a feeling Sanjida’s experience would be of interest to the many writers who read the blog. I like domestic noir too – but I think I’ve coined a new one for Bone by Bone: Bristol noir! Thanks for your comment, Ruby. What a great post; as a writer I’very never really considered how the genre of a debut novel can lead to expectations & implications regarding later ones… because I like experimenting with different genres within short stories I’m not sure I’d be comfirtable/happy to be confined to a genre if/when/hopefully I progress to novels. Indeed, having to think that far ahead might impinge creativity? Hmm… great one to ponder & discuss so I look forward to other’s comments. Thank you, Poppypeacockpens. I think publishers are becoming increasingly restrictive in terms of genre. On the one hand, it would be nice to write whatever you felt like; on the other, having a genre means there’s a ready-made audience out there. And I’m hoping that some constraints will help boost my creativity! Oh that’s interesting… as in constraints keep you focused? Prevent you meandering off into ‘possibly procrastinating’ or distractive tangents? I mean if you’re writing in a genre, there are certain expectations on the part of the reader and the publishers. So, in crime, there’s an expectation of police procedure, a detective or two, a murder or certainly a grim crime, whereas in thrillers, there might not be a crime but there’s an expectation that something bad might happen. So, if you have parameters for the plot, say, then it can feel like a constraint, but hopefully it’s a way of boosting creativity. You can’t just do what ever you want, or write the first thing that comes into your head – and lots and lots of people are writing in a genre already with all their great ideas, so I’m hoping it’ll force me to come up with better ideas and a better book. Not that I don’t procrastinate too! 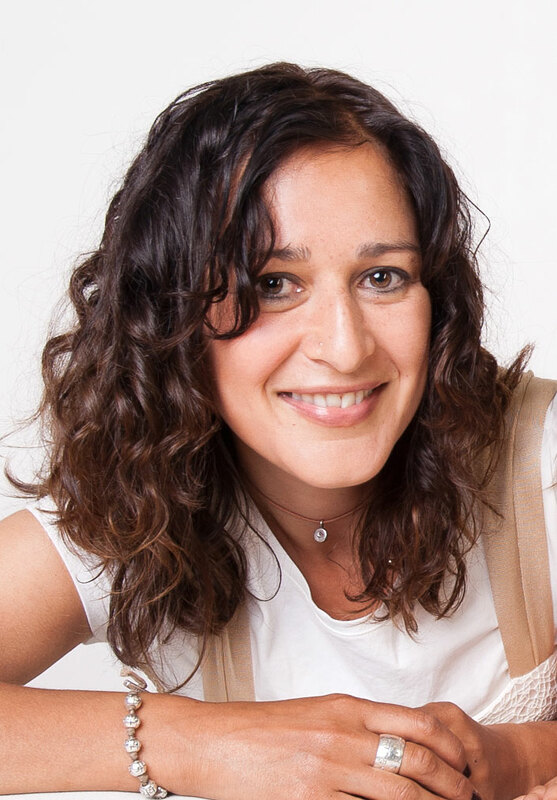 Fascinating post, Sanjida, and thanks to Isabel for hosting. As someone who struggles against the constraints of genre, I’m still wondering, along with my publisher, how my second novel should be positioned after the first was literary (but perhaps even that wasn’t so straightforward). A crime occurs, hinted at in the semi prologue, but it’s definitely not a crime novel. Might just squeeze into the psychological thriller category, but I like your idea from Jane Shemilt: family drama crossed with psychological thriller. Sounds like a dilemma, and I sympathise! However, I sometimes feel that (ironically) the more genre-blending the label, the less meaningful. That may be because it results in so many new permutations without an established set of conventions. Interestingly, we didn’t pitch my novel with a genre label, nor did my publishers rush to give it one when it was announced. I wonder if I’m going to get away without one – fingers crossed, because I really wouldn’t know where to place it! Thank you, Annecdotist. Good luck with your second novel. Certainly having a thriller label could help you since it’s such a popular genre – as is family drama. Thanks, Isabel, yours is the only blog I follow consistently, as writing takes up most of my time. Sanjida’s post is illuminating, and reveals to me just why I have dithered so long over ‘labelling’ my chosen genre. My first book The Amazon’s Girdle was conceived and written as a literary psychological drama – but it turned into a murder mystery, despite my best intentions! And now I am about to publish what my publisher calls ‘a comedy of manners’ – so am I about to lose all those readers who gave me starry reviews for my mystery? I hope not. When I discover a writer I love, I stick with her – I’ll read anything she publishes until I discover I no longer enjoy her books. Isn’t that what we all do? If I don’t enjoy a debut, that’s probably it. If I enjoyed a debut but not the second novel, I might give the next a chance but only if it particularly appeals. But it’s not always a case of ‘you’re only as good as your latest’ – there are several prolific authors who’ve written books i loved and sometimes really didn’t and I’m always curious to see if they’ve returned to form! Thank you for your comments, Elizabeth. I hope you don’t lose readers. Like you, I’d read anything an author wrote if I liked his or her previous novels. Hopefully you’ll retain your fans and make new readers.